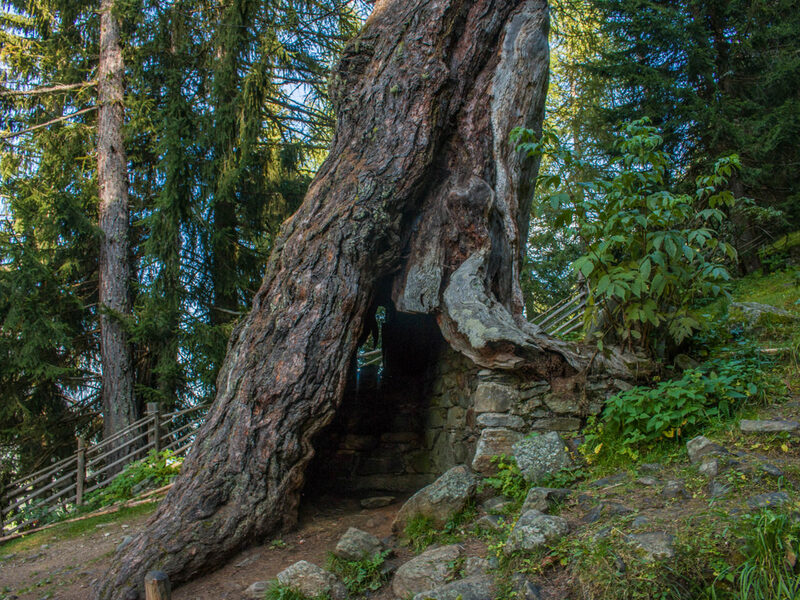 For those who think that nature works in many cases can exceed the beauty of the works created by man, we have a very special tip! 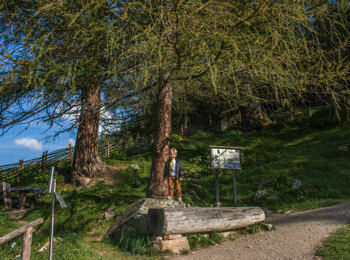 A visit to the three larches trees that are located near St. Gertraud in Ultental, at 1430 meters above sea level and about 30 km far from Meran. The three larch are over 850 years old and are among the most ancient conifers from all over Europe! 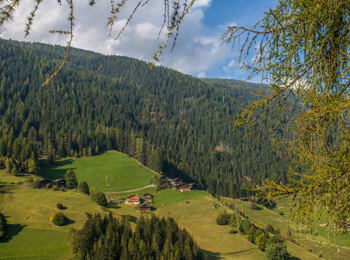 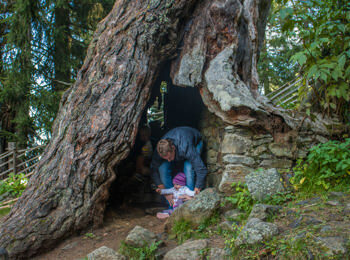 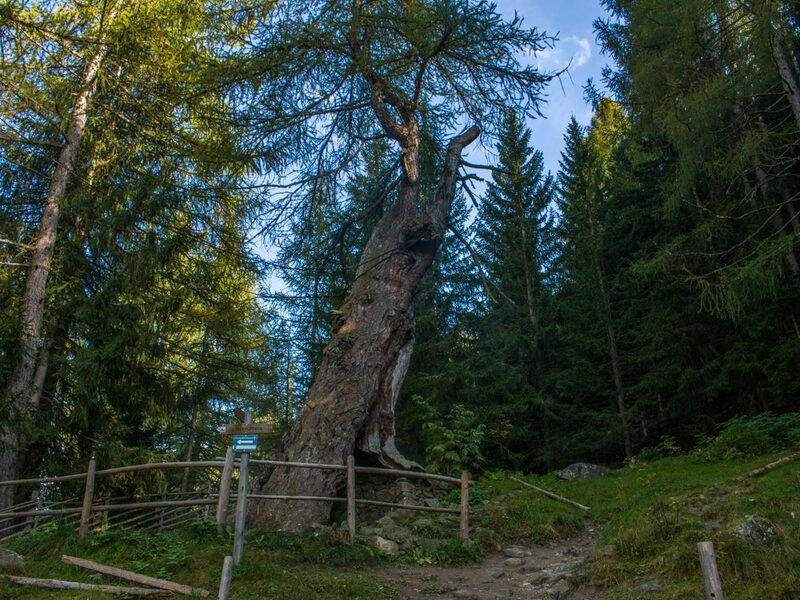 It is thought that the trees have been planted by the first inhabitants of the Ultental, right at the edge of the forest. 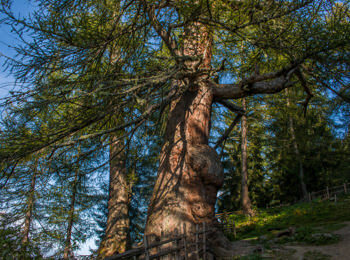 The size of the trees are bloated, the trunk reaches a diameter of 8 meters, and they reach a height of 35 meters. 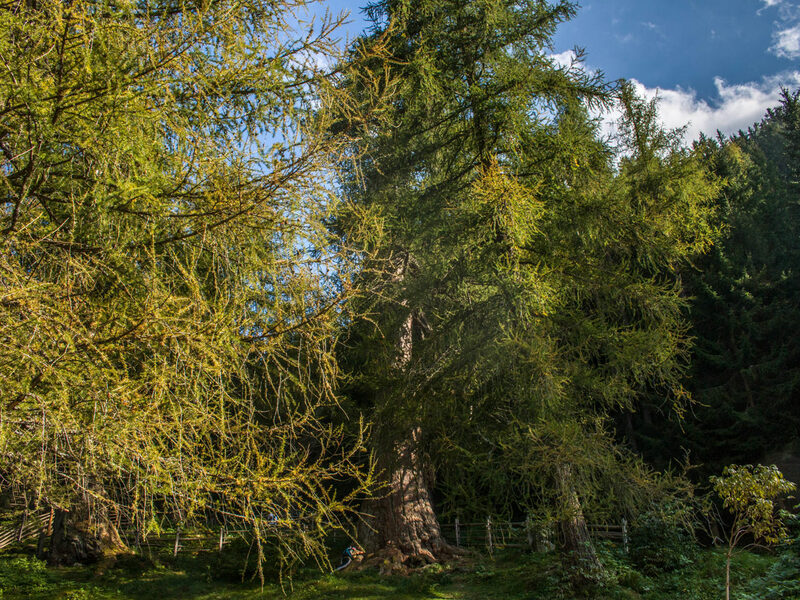 The larches until 1930 were four, one unfortunately has fallen because of a storm, cutting off the trunk could have counted over 200 rings in the trunk and so estimate the right age! 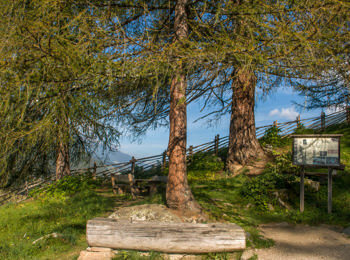 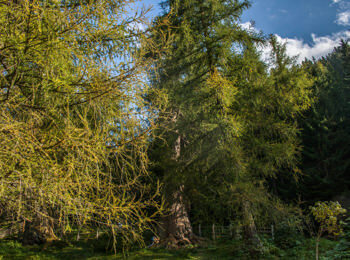 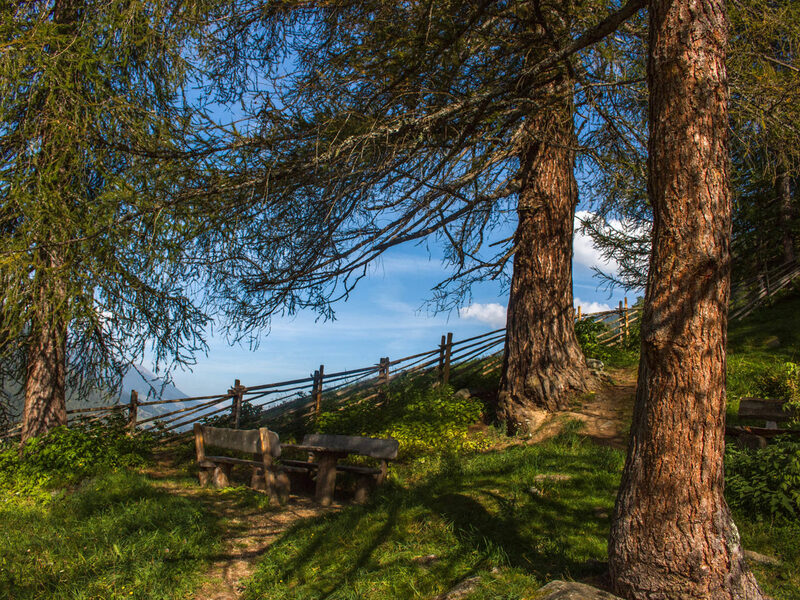 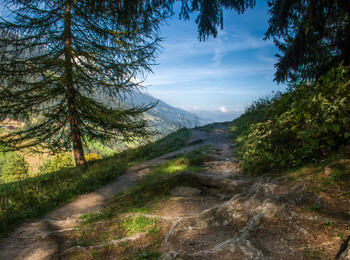 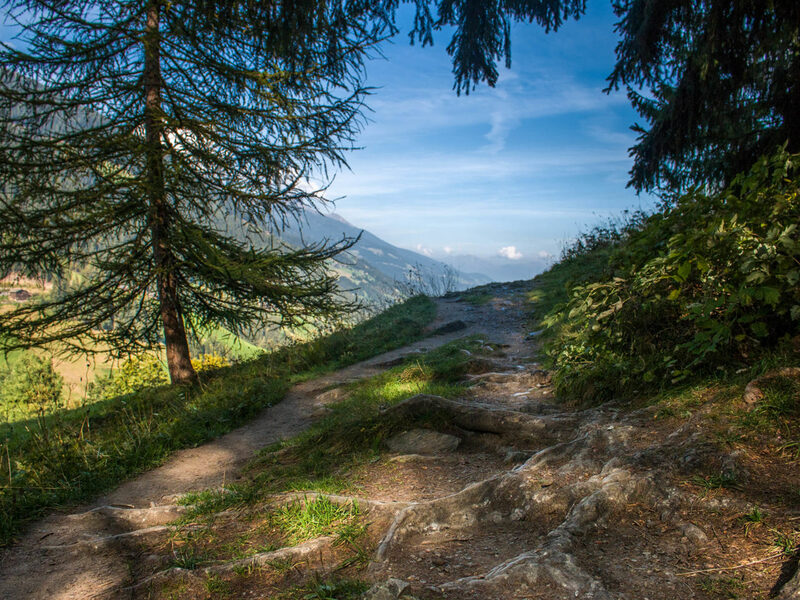 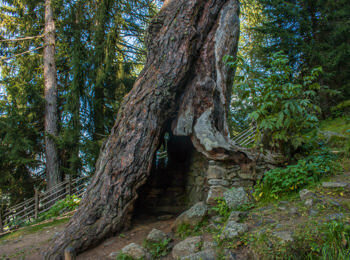 For those wishing to visit the larches a new and easy path leads to this natural monument, where since 2002 there is a point of information in three languages, designed to provide an overview of the special natural and historical culture of these trees. 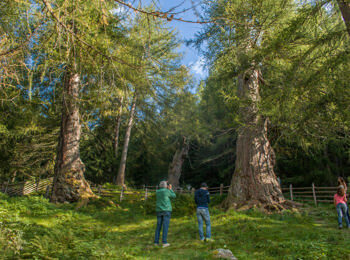 Near the larches there are also some benches and a fountain in larch wood, which allow you to spend some time in peace under the cool, wide leaves of these centenarians inhabitants of Ultental!